Waterton Lakes National Park is open for the 2019 season! Some areas of the park remain closed due to degradation and restoration projects following the 2017 Kenow wildfire. For a full list of what areas are currently open in the park, please visit the Parks Canada website. For more information on the Kenow fire, visit the About Waterton page. Waterton Lakes Lodge Resort is a year-round hotel located in the heart of the Waterton Lakes National Park townsite. The lodge features eleven separate buildings housing several different room types, from standard hotel rooms to full-kitchen family apartments. The lodge also offers excellent on-site facilities including a restaurant and lounge, and indoor heated pool and hot tub. Combined with a relaxed and rustic atmosphere, ample parking, and conveniently located within walking distance to all of Waterton’s activities and amenities, the lodge provides guests with everything needed to enjoy a Waterton getaway. 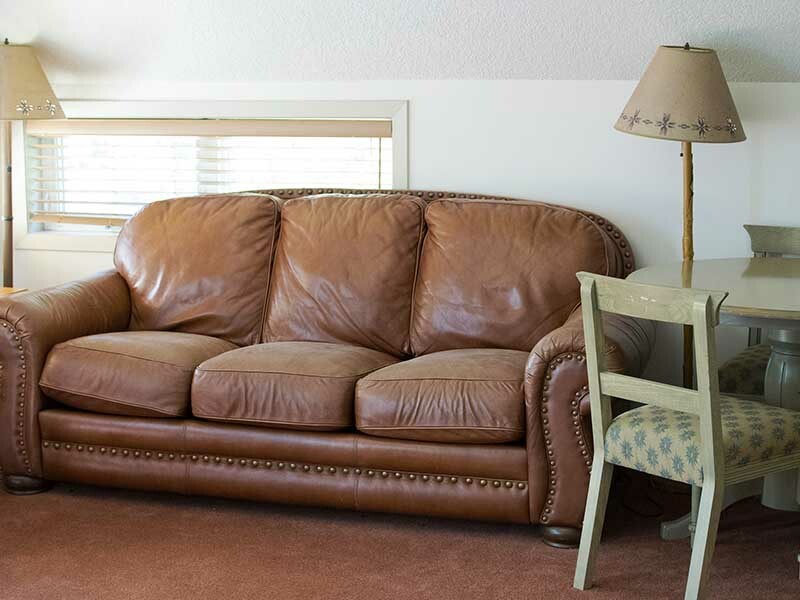 Whether you are traveling with your family, a group of friends, or by yourself, the lodge offers comfortable accommodations to suit your needs. Each building contains a variety of room types including standard two-bed hotel rooms, full-kitchen single bed suites, and full-kitchen multi-bed apartments. 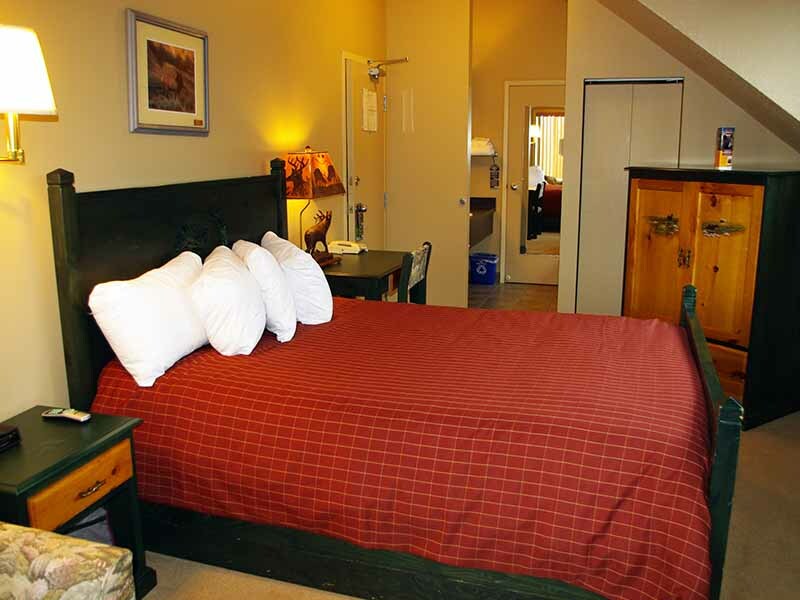 The lodge also features Deluxe King suites, which boast large jetted tubs and fireplaces, perfect for a romantic date night in Waterton, warming up in the quiet winter months, or just unwinding after a day of hiking. A selection of pet-friendly rooms are also available at request. Visit the Rooms & Suites page for more information. On-site facilities include Vimy’s Lounge & Grill, a full-service restaurant providing mouth-watering breakfast, lunch and dinner options. 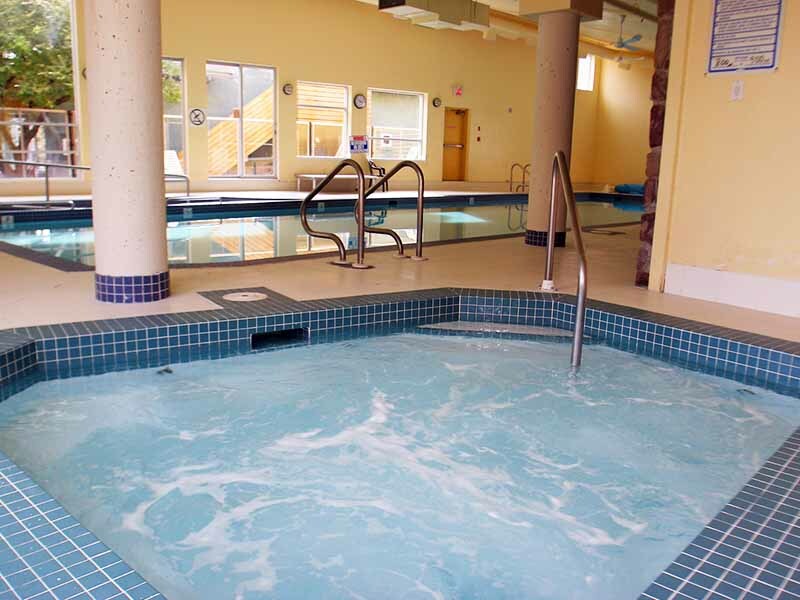 Waterton Lakes Lodge Resort also houses a full recreation center with an 18m indoor heated pool, hot tub, sauna, basic fitness facility, pool table, and foosball table. Please note that Vimy’s Lounge & Grill and the recreation center are located in separate buildings, guests will need to walk outside from their suites to access these facilities. Waterton Lakes National Park itself is a hidden gem tucked into the southwest corner of Alberta. Generally less crowded than some of the other national parks in Alberta, Waterton is a prime location to view spectacular scenery and wildlife, a hot spot for amateur and professional photographers alike, the wildflower capital of Canada, and one of the most acclaimed hiking destinations in the province. Visitors can enjoy an array of outdoor activities year-round, from horseback riding to cross-country skiing. Along with a laid-back vibe and a welcoming community, those who have experienced Waterton will tell you it’s a place like no other. For more information on the community and seasonal activities in the park, visit the About Waterton page. Waterton’s unique charm makes it a desirable destination for weddings, reunions, retreats, and conferences in Alberta. The Waterton Lakes Lodge Resort features a multi-room event space and outdoor venues that can accommodate groups of up to 150 people. Along with catering services and an incredible Event Coordinator, the lodge can provide guests with the resources and setting for an unforgettable Waterton event. For more information, visit the Weddings & Events page. 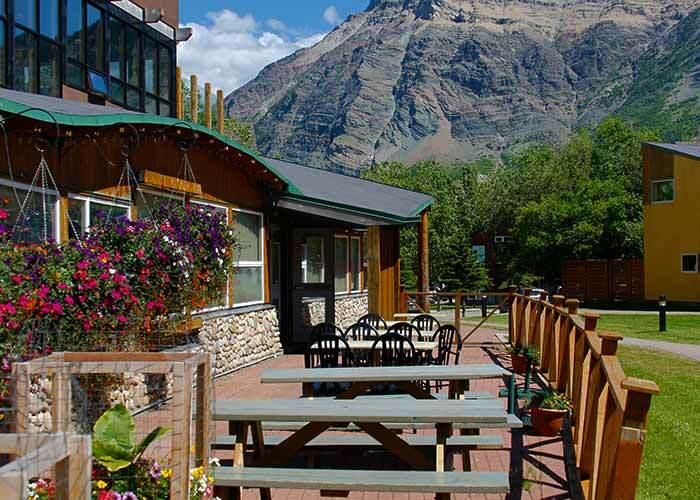 From groups to families, romantic getaways to adventure seekers, Waterton Lakes Lodge Resort has everything needed accommodate travelers looking to experience Waterton. Book now by calling toll free at 1-888-985-6343. Please note that visitors from all countries will require a valid passport and other relevant documentation such as a NEXUS card or travel visa. Persons under 18 years traveling without their parents should have a letter of authorization from a parent or guardian to travel into Canada or the United States. Please ensure you review the requirements, restrictions and customs regulations regarding crossing the border by visiting the Canada Border Services website or the U.S. Customs and Border Protection website before you depart for your trip. 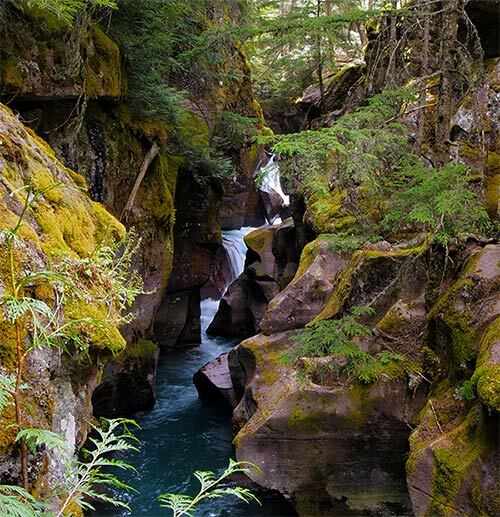 Waterton Park is a vast area of untamed wilderness just waiting to be explored. Visit www.experiencewaterton.com for information on a number of activities, or get some information and create your own adventure! 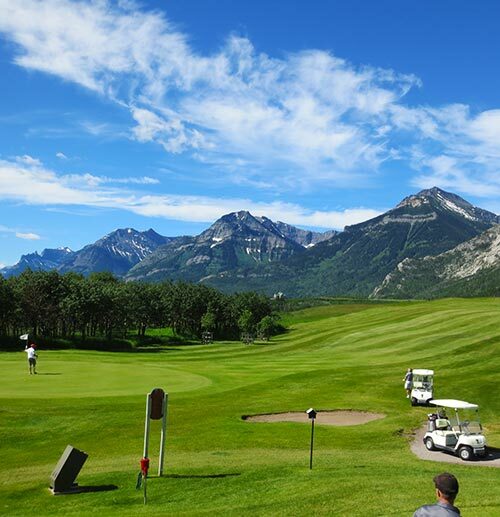 Check out our Specials & Packages page for the best deals in Waterton!